An Overview Of Nathan Water Bottles: Which Is Best for You? Home Brands An Overview Of Nathan Water Bottles: Which Is Best for You? 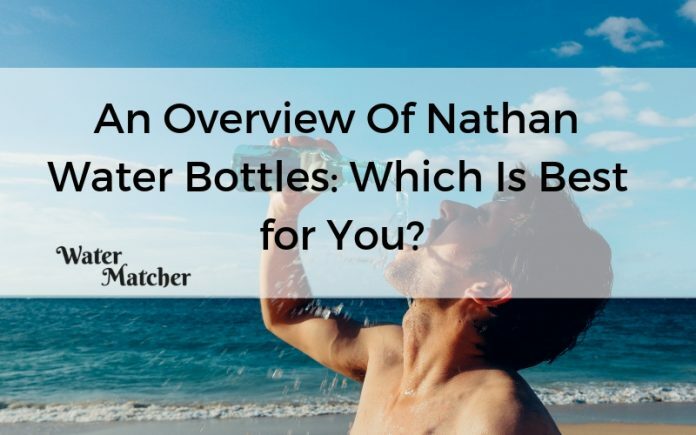 Water is important, so we help you choose the bottle that’s sure to become your next favorite beverage container in our overview of Nathan water bottles. Many people struggle with consuming enough water daily, and you may be one of them. If that’s the case, then keeping the important beverage front and center wherever you go could be the key to meeting your water intake goals. Purchasing a new bottle may provide just the incentive you need to carry water along with you, no matter if your day sees you tending to tasks that leans toward the mundane or the adventurous. 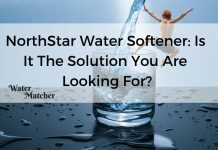 With a wide range of options available, we help you narrow down your search by honing in on Nathan water bottles in this review. Why Choose Nathan Water Bottles? Nathan specializes in manufacturing a wide range of bottles in various sizes that are perfect for all kinds of activities. No matter if you need a water flask meant for everyday use or one that’s best suited for physical activities and sports, you’ll likely find your next favorite bottle from Nathan. 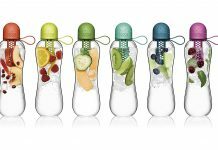 The brand has many different bottle styles ranging from those crafted of stainless-steel or BPA-free plastic. Their offerings are of a quality build that are meant to last for the long haul. Whether it’s accompanying you on a day of adventure, to the office or simply around the house, these Nathan water bottles are a great go-to for everyday hydration. Available in three different sizes, at least one of these bottles is sure to meet your needs and help you reach your water-guzzling goal. These flasks come in a 24-ounce LittleShot, 34-ounce BigShot and 50-ounce SuperShot. This bottle boasts several features that will have you reaching for it whenever thirst hits. Owners of these Nathan water bottles report that they like that the drinking spout is narrow, soft and easy to drink from. Outside of easy and comfortable drinking, often the second most important aspect of any beverage holder is how simple it is to clean. Nathan has hit a home run with these bottles on that front, as not only is the drinking spout removable for cleaning, but the lid also screws off to reveal a wide mouth that makes scrubbing the container a cinch. Live without fear of losing the cup’s lid thanks to a tether that keeps it connected to the bottle. With more and more people eschewing plastics, the material has been getting a bad rap as of late. Drink your water and enjoy peace of mind as these bottles are constructed of Eastman Tritan™, which is not only BPA-free but also ensures that your water remains pure, odorless and tasteless. These popular water bottles can all be ordered directly from Nathan’s website, with the 24-ounce LittleShot available for $11.99, the 34-ounce BigShot for $12.99 and the 50-ounce SuperShot for $14.99. Sometimes a search on Amazon can turn up a great deal, particularly on certain colors. You’ll find a selection of Nathan LittleShot bottles on Amazon for as low as $5.75, BigShot bottles for as low as $8.22 and SuperShot for as low as $12.70. No matter if your adventures keep you near or take you far, the FlexShot is the perfect lightweight, portable traveling companion. Able to hold 24 ounces of liquid when filled, this bottle becomes soft and foldable when empty. Simply roll or fold the empty bottle and secure it with the attached rubber ring to keep it in place and ready to pack. The flask is equipped with a wide mouth that makes inserting ice and cleaning it a cinch, while the narrow drinking spout makes for comfortable sipping. 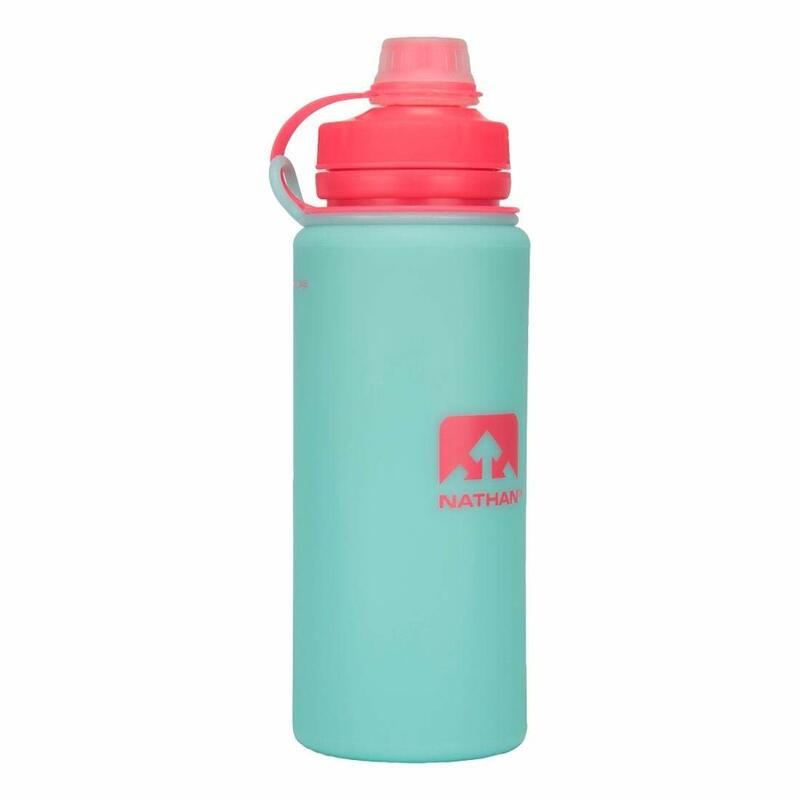 The Nathan FlexShot is crafted of a BPA-free silicone, and although the brand states that the material is both tasteless and odorless, some who have purchased the bottle contradict that statement. Although the smell dissipates quickly over a short amount of time after opening up and airing out the container, several users say that the bottle does have a smell and imparts a faint plastic-like taste to water initially. You can check out the FlexShot, which Nathan retails for $19.99, on its website or by visiting Amazon. Perhaps you’re trying to cut some plastic out of your life; if that’s the case, then this stainless-steel option is worth a look. With triple insulation, the Hammerhead keeps beverages warm for up to 15 hours and cold drinks frosty for up to 35 hours. Like many of Nathan’s drink carriers, this one has a wide mouth opening for filling and cleaning with ease and also a twist-on narrow drinking spout for easy consumption. Nathan offers this sleekly-designed bottle in three sizes: 18, 24 and 40 ounces. All three sizes of the Hammerhead Stainless-Steel Water Bottle can be ordered directly from Nathan by visiting its website. Check out the 18-ounce style ($29.99) here, the 24-ounce ($34.99) here and the 40-ounce ($39.99) here. The 18, 24 and 40-ounce Nathan water bottles can also all be found on Amazon, sometimes at a lower price. If you’re on the search for a bottle better suited for carrying with you on a long run, as opposed to an anytime-type beverage container, then you’ll likely find just what you need from Nathan. The brand is one of the top producers of this type of flask, and they have several handheld options available. The SpeedDraw Plus is one of the most popular. Its unique shape allows for runners to get a natural and comfortable grip on this 18-ounce bottle. ​The included hand strap is crafted with a convenient thumb hole and is both fully adjustable and removable, making it possible to carry this bottle without exerting extra energy to grip it during runs. The strap also includes a zippered pocket that can carry more than most other similar-sized flasks on the market. 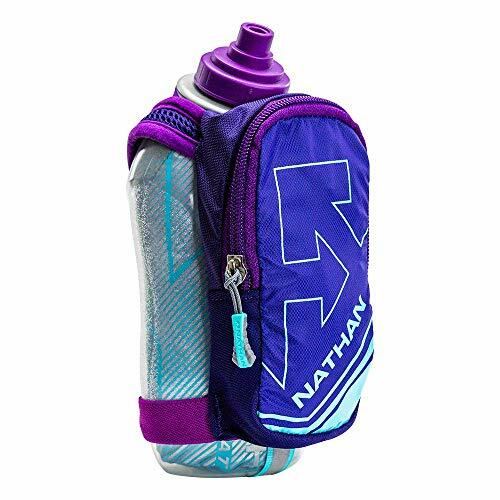 Runners who own one of these Nathan water bottles have been surprised that they can often fit a phone, ID, keys and other small needed essentials into the pocket. The bottle itself is double-insulated which means that water stays colder for longer, even when temperatures soar. It would almost seem that this handheld bottle is the perfect running companion; however, several fellow runners have pinpointed its largest downfall. Many have noticed their bottles tend to leak around the lid when the flask is being used. 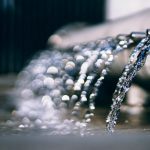 While this may not pose a problem when humidity is high, and you’re soon drenched in sweat anyway, water leaking onto your hand during frigid temperatures could become quite uncomfortable. Let’s review the pros and cons of the various Nathan water bottles that we’ve covered in this overview. No matter if you’re in need of a water container to simply see you through the day and help keep you hydrated, or if you need liquid on hand to keep you fueled throughout your workouts and sport-related activities, Nathan certainly has a plethora of options to fit the bill. 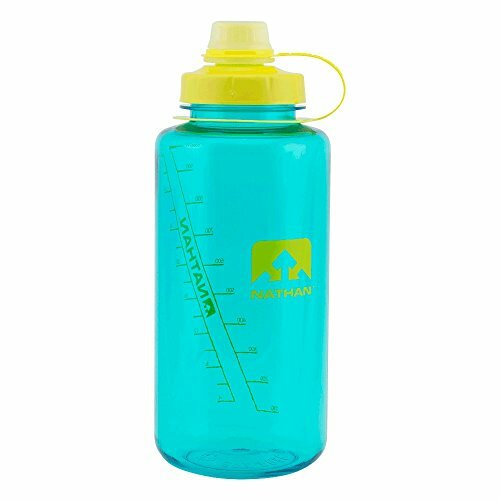 We recommend the Nathan Sports BPA-Free Water Bottle for carrying with you wherever you go, all day and every day. With three different sizes and water measurements marked right on the side of the bottle, consuming enough water will soon become a breeze, and maybe even fun. The FlexShot water bottle is a solid choice if you’re a frequent traveler who needs to be mindful of packing light. If you prefer the experience of drinking from stainless steel, then we think the HammerHead stainless steel water bottle is worth a look. Its triple-insulation and steel construction provides it with utility and durability, while its eye-catching three-tone looks will make you want to carry it to show it off. If to you, running is life, then the SpeedDraw Plus provides a comfortable way to carry needed water and other essentials on your long runs. If you struggle with meeting your daily goals for water intake, then investing in a new water bottle could be just the push you need to make drinking the essential liquid a priority. 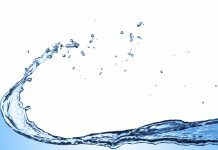 Previous articleKangen Water Filter: Should You Buy One Or Not? 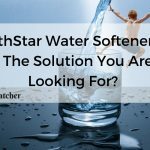 Next articleMorton Water Softener: Is It The Best Choice For You?